Superconducting materials are technologically important because electricity flows through them without resistance. High-temperature superconductors could lead to faster, more efficient electronic devices, grids that can transmit power without energy loss and ultra-fast levitating trains that ride frictionless magnets instead of rails. Only low-temperature superconductivity seemed possible before 1986, but materials that superconduct at low temperatures are impractical because they must first be cooled to hundreds of degrees below zero. In 1986, however, discovery of high-temperature superconductivity in copper oxide compounds called cuprates engendered new technological potential for the phenomenon. But after three decades of ensuing research, exactly how cuprate superconductivity works remains a defining problem in the field. One approach to solving this problem has been to study compounds that have similar crystal, magnetic and electronic structures to the cuprates. Nickel-based oxides - nickelates - have long been considered as potential cuprate analogs because the element sits immediately adjacent to copper in the periodic table. Thus far, Mitchell noted, "That's been an unsuccessful quest." As he and his co-authors noted in their Nature Physics paper, "None of these analogs have been superconducting, and few are even metallic." 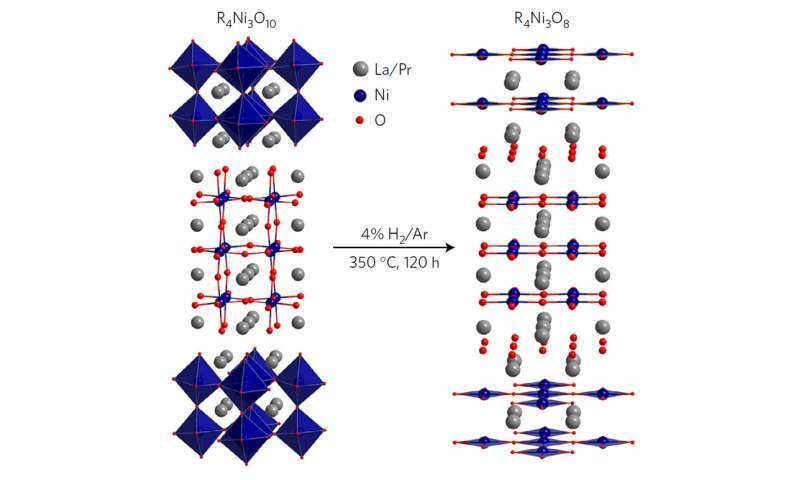 The nickelate that the Argonne team has created is a quasi-two-dimensional trilayer compound, meaning that it consists of three layers of nickel oxide that are separated by spacer layers of praseodymium oxide. "Thus it looks more two-dimensional than three-dimensional, structurally and electronically," Mitchell said. 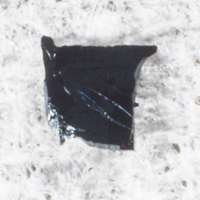 This nickelate and a compound containing lanthanum rather than praseodymium both share the quasi-two-dimensional trilayer structure. But the lanthanum analog is non-metallic and adopts a so-called "charge-stripe" phase, an electronic property that makes the material an insulator, the opposite of a superconductor. "For some yet-unknown reason, the praseodymium system does not form these stripes," Mitchell said. "It remains metallic and so is certainly the more likely candidate for superconductivity." Argonne is one of a few laboratories in the world where the compound could be created. The Materials Science Division's high-pressure optical-image floating zone furnace has special capabilities. It can attain pressures of 150 atmospheres (equivalent to the crushing pressures found at oceanic depths of nearly 5,000 feet) and temperatures of approximately 2,000 degrees Celsius (more than 3,600 degrees Fahrenheit), conditions needed to grow the crystals. "We didn't know for sure we could make these materials," said Argonne postdoctoral researcher Junjie Zhang, the first author on the study. But indeed, they managed to grow the crystals measuring a few millimeters in diameter (a small fraction of an inch). The research team verified that the electronic structure of the nickelate resembles that of cupratematerials by taking X-ray absorption spectroscopy measurements at the Advanced Photon Source, a DOE Office of Science User Facility, and by performing density functional theory calculations. Materials scientists use density functional theory to investigate the electronic properties of condensed matter systems. "I've spent my entire career not making high-temperature superconductors," Mitchell joked. But that could change in the next phase of his team's research: attempting to induce superconductivity in their nickelate material using a chemical process called electron doping, in which impurities are deliberately added to a material to influence its properties. "Nickel-based oxides - nickelates - have long been considered as potential cuprate analogs because the element sits immediately adjacent to copper in the periodic table." Why would their adjacency (in a row) make them electronic "analogs"? If they're not in the same column they have different valence electron patterns. And more different still when in a molecule with an oxygen atom. Why would they be similar? The article isn't all that well written; you spotted one problem. Nickel actually occurs in two electron configurations: 3d8 4s2 and 3d9 4s1. It's the 4s1 kind that is like copper, which also has a 4s1 shell as the outermost. It's not the adjacency, but the energy levels in the electron shells.